As a gated community with more than 40 acres of sprawling land, Sandpiper Cover is one of the best places to stay while in Destin, Florida. Conveniently located just a short drive from the heart of the city, you’ll find that you can easily hop in your car to explore the city and even venture into some neighboring cities. Once you take a look at some of the amenities available, you may want to spend your vacation relaxing in your room and exploring the resort. Staying in a hotel leaves you at the mercy of someone else. You never know when you might have housekeepers who skip over your room or noisy neighbors who ruin your trip. 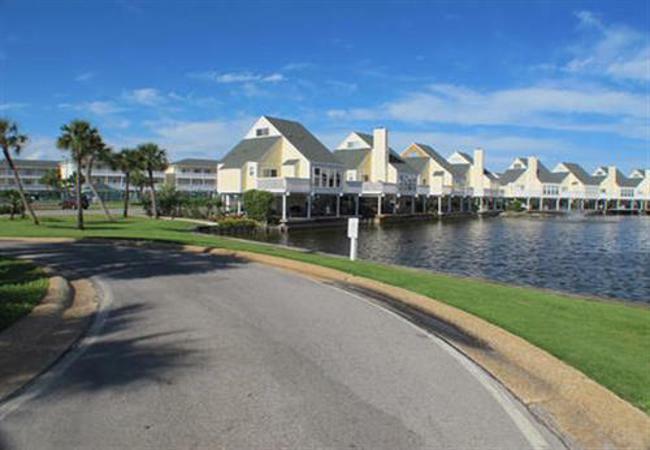 Sandpiper Cove provides you with more privacy and more peace and quiet. You’ll have a television and DVD player for watching TV or films and a washer and dryer for cleaning your clothes. Exploring Destin and all surrounding regions is easy because of the resort’s proximity to local attractions. Golfers will find seven impressive courses within driving distance, including the Kelly Plantation Golf Club, Emerald Bay Golf Club and Regatta Bay Golf & Country Club. If you prefer shopping and want to pick up some souvenirs, plan a day trip to the Shoreline Village Mall or Santa Rosa Mall. Though the resort has its own restaurant, you might stop by a local restaurant while out and about. AJ’s Seafood & Oyster Bar is a great place to sample freshly caught seafood and enjoy amazing views of the water, while Margaritaville will put you in a festive mood. Sandpiper Cove sits on a 43-acre resort that has more than 1,000 feet of water and sand that is open exclusively to resort guests. With three hot tubs and five swimming pools, you’ll find the perfect place to relax and unwind after a long day. The resort also has a nine hole golf course, six tennis courts and a small restaurant. You can even rent a boat slip when bringing your boat to Destin. Sandpiper Cove is the ultimate resort for those who want to see the best that Florida has in store for travelers.